This Photograph is looking towards the new Adelaide Football Oval with the Rotunda as the main focus. 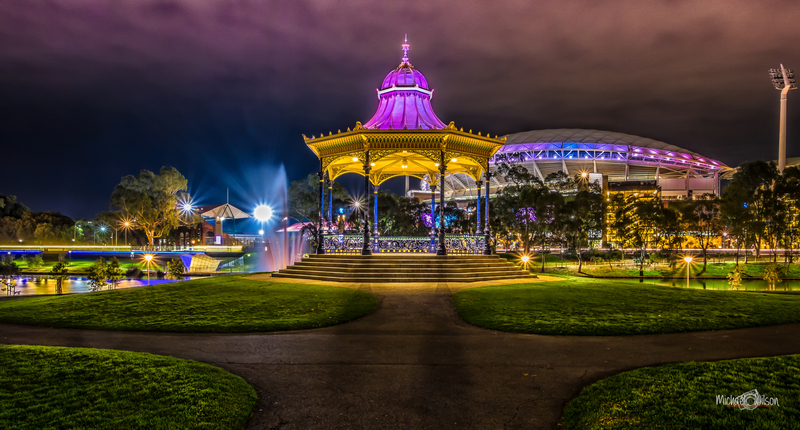 This entry was posted in Photography and tagged Adelaide, Adelaide Football Oval, architecture, City, colour, colour fx pro, Lightroom, long exposure, night photography, Photography, Rotunda, South Australia. Bookmark the permalink. A very impressive night shot. I love how the clouds reflect the colors of the lights.